This past Saturday I was fortunate to be a part of book event at Welcome to the Bookstore with some author friends. There was a scavenger hunt, trivial pursuit, author readings, refreshments, drawings, and a whole lot of camaraderie with some amazing authors. Being part of a writer’s group has grown my writing career beyond anything I could have hoped for, and for that, I am so grateful! 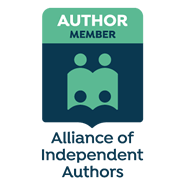 I’m also a member of Rocky Mountain Fiction Writers and urge you to check them out as well. I’m over-the-top excited to attend the Colorado Gold Writer’s Conference next month in Denver. Speaking from my own experience, if you’re a writer and on the fence about whether to join a writer’s group or not, I would like to give you a gentle nudge, helping you to the other side of that fence–the side that finds you surrounded by the amazing support of a writer’s group. I encourage you to take a moment and check out their websites. Happy reading, happy writing, and most importantly, happy living!